There have been a series of posting on the south west bus group which started when someone posted a link to photos of 169 in Malaysia. Front view Rear View and a full side vew showing off her London Transport livery! Check the full gallery as there are some great looking coaches here! 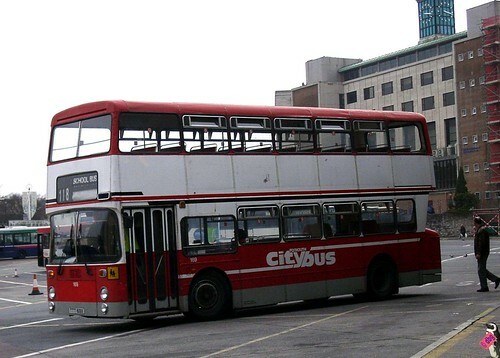 TTT 169X had also previously travelled a long way from Plymouth whenowned by The London Bus Export Co, Chepstow. It was used in 2003 on theBritish Airways promotional tour in Milan, Italy and spent some timeafter that based in Italy. It was also used as a PSV by Brown, Lydney(GL) the owner of London Bus Export.